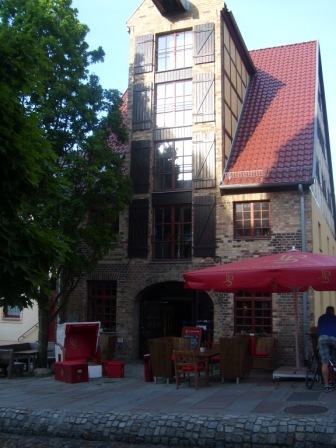 Finding a new location in Rostock City to write about proved more difficult than I expected. Most of the clubs, bars, restaurants and cafes have been in their respective places since what feels like forever. So imagine my surprise when I went down to the harbour the other day and walked right past a restaurant that I’ve actually never seen before. 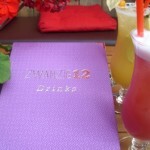 This restaurant/bar the ‘’Zwanzig12’’ (‘’2012’’) just opened earlier this year (hence the name). The outside looked quite nice and charming, so I grabbed some of my friends and told them we needed to take a look inside. 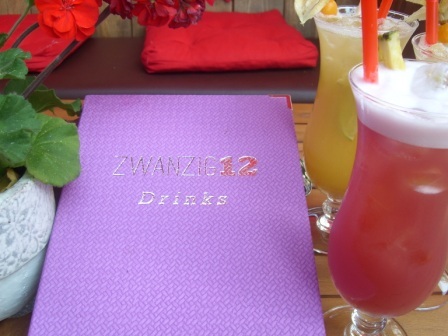 The ‘’Zwanzig12’’ is located in an old warehouse which used to be occupied by a chemist called Friedrich Witte. He initially used the warehouse as a chemical laboratory for his experiments focusing upon caffeine and pepsin (If your mind wandered to thinking about Cola just now….you would be right; pepsin is the chemical that gave Pepsi-Cola its name). But back to the topic at hand. The restaurant extends onto two floors. The interior is characterized by a mixture of historical and contemporary design elements. 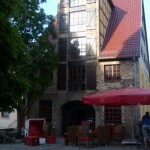 The wall is mostly bare brick with stunning half-timbered elements. The furniture is clean, sharp and minimalist looking; Flatscreens and LED lights are generously placed throughout the whole restaurant. 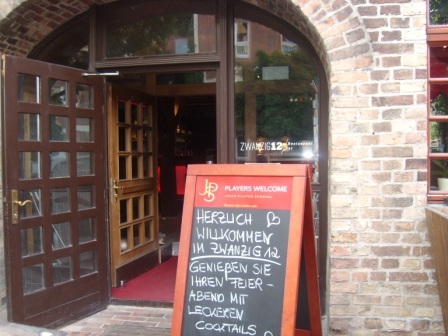 In the back of the ‘’Zwanzig12’’, you will find a separate whiskey and cigar lounge. The waiters and waitresses are young, friendly, welcoming and treated us very well on the whole. They didn’t mind showing us the entire restaurant and telling us about its history. All of the waiters were very helpful, considerate, and didn’t mind taking a little extra time to answer all of our questions. The food variety is very basic, but of high quality. You have the option of choosing between a small number of appetizers, potato/pasta dishes, sandwiches and meat & fish dishes. Since I can be very picky about certain ingredients, it was good to know that it was absolutely no problem exchanging them for other ingredients or simply leaving them out. Contrasting the as of yet still limited amount of food choices is the huge and I mean HUGE selection of cocktails, wines, whiskeys and non-alcoholic beverages. Just one of the great things about their cocktail variety is the amazing range of choice. The restaurant offers all of the standard cocktails including Mojito, Caipirinha, Cosmopolitan, Long Island Iced Tea and many more. I’m not going to list all of them because there are just way too many, and you know what I’m getting at. Besides the classics, they also offer a surprising number of cocktails and beverages that I’d never heard about. These cocktails include a variety of ingredients that I’m excited about and eager to try out (e.g. blueberry, elderflower and lychee). Since we decided to take a seat outside, we were lucky enough to be able to watch the sun set over the harbour, which was quite picturesque. After a long battle of contemplating which cocktails we should choose, it didn’t take long for our order to arrive; everything was prepared very nicely and the taste didn’t disappoint at all. The overall experience was very pleasant and memorable. The location is simply beautiful and unique, and the waiters are very obliging. The food and beverages were of exceptionally good quality and reasonably priced. 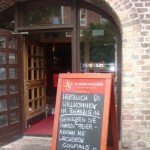 I know that I am going to enjoy having this great addition to Rostock’s restaurants scene, and I hope you will too. This entry was posted in Restaurants, Bakeries & Canteens, Where 2 Eat/Drink/Go Out and tagged cheap, cocktail, historical buildings. Bookmark the permalink.